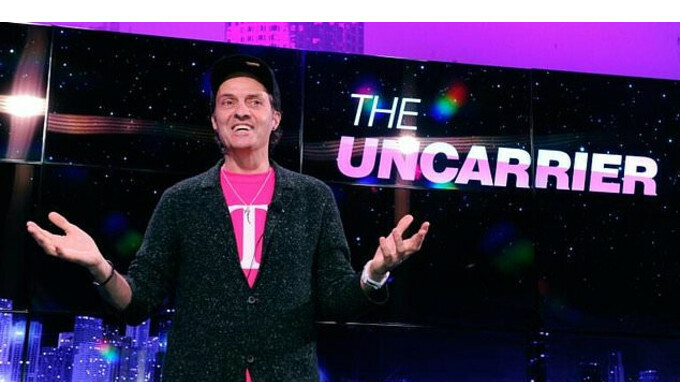 T-Mobile’s comments about our fourth-quarter postpaid phone subscriber growth are misleading. We’ve offered our customers a BYOD option for years. We haven’t made any meaningful changes to our credit policies in quite some time, and when we do make changes, we disclose them in our SEC filings. T-Mobile posted a very good last quarter, but noted a stark decrease in prepaid subscribers, pretty unusual for the Un-carrier. The user base for its prepaid offers increased with 149,000, a far cry from the 260,000 posted in Q3. Compare that to the sequential growth in postpaid subs, from 595,000 to 891,000, and you'll see what got T-Mobile worried, not to mention the fall from 541,000 net prepaids in Q4 2016. The Un-carrier parsed the stats, and found out that the culprit for the nosedive in prepaid subscriber growth was... AT&T. At the time, AT&T was running a clever bring-your-own-device (BYOD) promo in select areas, aiming to simplify the porting process for switchers that come from another carrier. BYOD campaigns don't require such stringent financial history checks like buying phones on installments, as there is no credit extended, just prepaid monthly plans that can be cut without loss at any time, if the user stops paying. They view credit very differently with BYOD because there is, quite frankly, a lot more credit exposure when you’re financing a device to a consumer. And when you look at the service revenue component, they weren’t really concerned about the service revenue exposure. So what we were able to deduce is a lot of prepaid flow with that new emphasis by AT&T is actually showing up and being reported as post paid. That's the analysis that T-Mobile's CFO Braxton Carter put out at an investor conference yesterday, hinting that things with AT&T's miraculous 329,000 post paid subscriber growth after a few quarters of losses, may not be as rosy as they seem. In fact, the CFO claims that the carrier's porting ratio against AT&T and Verizon has since increased significantly, to 1.7 net adds for each subscriber lost, so we can't wait to see the Q1 results reported by all carriers. "We didn't do as well as we hoped. It was our competitor's fault. We were hoping they wouldn't compete." I left Verizon for Sprint after 14 years. I just left Sprint for T-mobile after 12 years. I hope T-mobile and their 2 unlimited lines for $60 are great for us. Competition good for free market and consumers as hold, but everything has cycle. T-Mobile faces more uphill battles the more their established competitors reach parity with their service value offerings. I have been with Straighttalk fir a year and never looked back.